*At this stage my son has not yet been diagnosed with autism and I don't know if he will be or not. We are awaiting a decision on February 5th, at which time I will update this post. I have thought long and hard about sharing Tyler's story, after all, it's not my story to tell is it? Now that he's of school age I keep a lot back about Tyler, I don't share as many pictures of him online, etc. because I feel that he's older and this is his life, not mine to share with the world - even though he is more than happy for me to share his pictures, so he says! However, I am sharing this story from my own personal parental perspective, in the hopes of helping other parents who are also going through similar situations with their own children and who are looking for information on the assessment of need for children here in Ireland. I'm not going to lie in this post. I have shed tears about the thought of Tyler being autistic, not because it's something to be ashamed of, etc., but because I have feared for his future and how his behaviour could be perceived negatively by others. However, years later I no longer worry about how others see him and the worries about his future melt away as he gets older, more responsible and much better behaved - we've had some trying times, let me tell you! This is our experience so far, on why we think Tyler may be on the spectrum, why he's getting this assessment of need and what it means for us. Ever since my eldest son Tyler was a baby he has been 'different' - and I mean different in a 100% positive way. A lot of parents state that they feel as if their child has 'been here before' and I have always had that feeling about Tyler. He was like a little old man as a baby and a very young child, always keen to help out, know everything about anything and seemed to have no fear of leaving my side at all. He was always running off when we went on days out, etc., blending in with other groups of people and trying to chat to them in his little language. I always joked that he was 'trying to find another family'. Tyler began playgroup one month shy of turning two at a local pre-school and in his years there I received nothing but ridicule about my son, comments about his behaviour (which, looking back was perfectly normal for a 2 and 3 year old boy), questions such as - "does he make eye contact with you?" and other such instances which led me to believe that he had 'something wrong with him' - I say this as it was not clear what his various teachers there were trying to get at and one took a particular dislike to him on the verge of bullying - which I wrote about in my post about when your child's bully is their teacher. I brought up the insinuations from Tyler's pre-school teachers at his two year public health nurse assessment and she said she would arrange for an appointment to be made for Tyler. At this stage he also wasn't talking much, he spoke in jibberish for the most part and in his own little language (he didn't really begin speaking correctly until after his little brother was born in 2016). An appointment was also made for Tyler at a speech therapist. However, in typical backwards Irish fashion, children who are going through an assessment of need for autism cannot avail of speech therapy until they have been diagnosed - this is so that speech therapists can see how behind they are with their speech, etc. Considering that it has taken almost three years for Tyler to finally get his appointments for this assessment of need, we are only lucky that Tyler now has perfect speech, which he was able to learn himself. From a very young age Tyler began developing a very strange obsession with the vacuum cleaner and from then progressed onto washing machines. At one stage I felt like I was losing my son to this obsession of his because it was all he wanted to focus on, talk about and interact with. Every sentence would be about washing machines and at this time I was in despair. I felt like I was losing him in a way as we couldn't really communicate without it leading back to him chatting about washing machines and everything to do with them - because he knew absolutely everything about them. 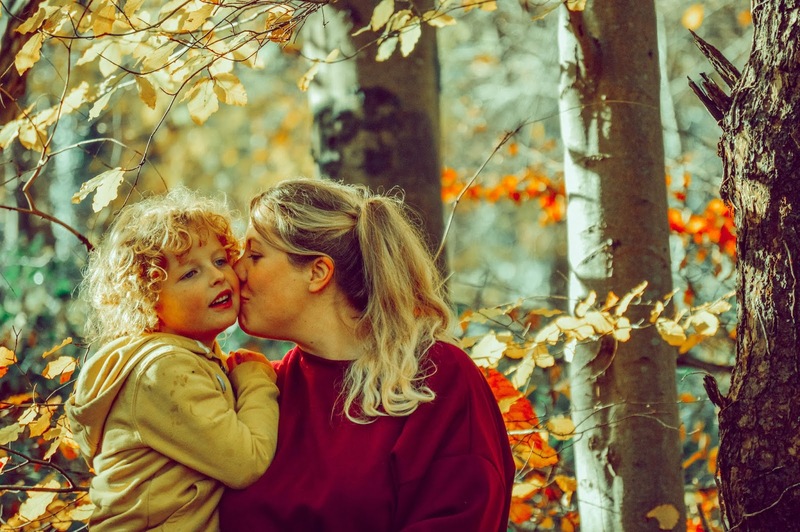 Tyler saw one doctor about two weeks after Beau was born and she was unable to give me a yes or no to whether she thought he was on the spectrum, but a few words of hers really troubled me. She said that because he is so trusting of others, etc. that it would - "Leave him open to being vulnerable later in life". Those words haunt me, I never want my son taken advantage of because he is too friendly or keen to make friends and it breaks my heart that this could be his reality. That doctor's visit was the only one we had for Tyler from June 2016 to January 2019 until these assessment of need appointments became available for him. I am angry, sickened and disgusted that children like my son are being failed in Ireland. Children waiting for an assessment of need are supposed to be seen within six months, but they are not, at all and it's not only hard on them and on parents too who are trying to help their children as best they can but maybe not fully understanding what's going on or what they can do to help their child. We are lucky that Tyler is coping fantastically in a mainstream school. I'm biased as his mother but I think he's a very intelligent child and learns quickly. He's outgoing, friendly and very sociable - although he can struggle sometimes as he's not really into all the things other boys his age are. He has an amazing imagination and I'm so very proud of him and all his efforts. I have been asked by parents who are also waiting for an assessment of need for their children to explain what happens during these assessments and how long they take, etc. This has been our experience so far. Tyler's first appointment for this assessment of need was a play session, where a doctor sat with him and played games to see how he reacts in play situations, the choices he makes, etc. I was unable to go into the room with him for this assessment but he got on fine and the lady who assessed him simply said to me afterwards that - "He is a very lovely boy" - these words mean more to me than anything else. He is a lovely person and I couldn't ask for more from him. This appointment took one hour. The next appointment during this process was an interview for his father and I. We were asked quite a lot of questions regarding Tyler's development, his life now, how he reacts to different things, etc. We were at this appointment for an hour and a half and it was quite thorough. The last appointment Tyler has had was a cognitive assessment, which lasted about 45 minutes. I was able to sit in with him for this one. The lady assessing him played block sequences with him to see how he figured out puzzles, etc. She then asked him general knowledge style questions. Then he had to find the same picture in a row and cross out the matching ones. There were seven exercises in all for him to complete and he did them fine - although he was tired from being at school all day. An assessor has also visited his school, but not told him that she was there to observe him. This is to see how he interacts with his school mates, his teacher, how he copes in his school environment, etc. I will receive feedback on this at our last meeting on February 5th. I think it's quite crazy that it has taken almost three years to secure three appointments. My heart goes out to families who are waiting for their children to be assessed and who are struggling with no help available. I have always been in two minds about Tyler and to whether he is on the spectrum or not. I have always maintained that if he is, it is not enough to effect his life. By this I mean that if he is autistic he is very mildly so and honestly, I sometimes believe he is just high-spirited - he is a five year old boy after all! The only real pinpoint for us in this whole process were the obsessions he gets - he usually goes between washing machines and Fireman Sam. My mother did say something very insightful to me though, she said - "How could people see him for a total of three or four hours and come to a conclusion about him? He is your child and you have been with him almost 24 hours a day since he was born. You know what he's like and don't let anyone tell you there is something wrong if you know in your heart of hearts that there isn't. You are his mother and you know him better than anyone". Her words are so true and will definitely be in the forefront of my mind when we find out the assessors conclusions about Tyler on February 5th. I will be asking for explanations on how they have come to their conclusions and will be making sure they are correct before labeling Tyler with anything - if at all. At this stage, for me, it doesn't matter if Tyler is on the spectrum or not. I just want to be able to understand the world from his point of view and help him in any way I can. Autistic or not, he is still my beautiful, intelligent, caring, friendly and funny boy and he always will be. I couldn't be more proud of him and how far he has come in his 5 (almost 6!) short years.